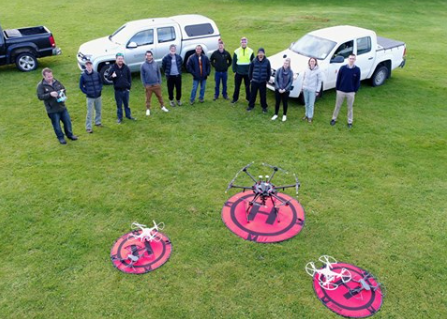 Great to be training another set of 10 #Forestry #Supervisors this last week deploying the DJI Australia and New Zealand #MavicPro #Phantom4bringing #UAV / #Drones to be a regular tool being used by our field foresters with our Forest #Industry here in New Zealand. This course allows them to get there UAV Civil Aviation Authority CAR 101 wings badge and certification together with basic flight competence and craft knowledge. This course is run together with our Partners at Massey University School of Aviation. These courses run throughout the year, if your interested and would like more details and upcoming course dates ,contact our team or visit interpine.co.nz.